Game of Thrones Season 8: All the Photos! 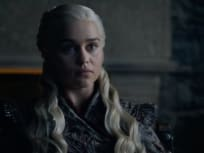 We have some photos from Game of Thrones Season 8, and they tease several big meetings. Yes, you need to stop what you're doing and view them! Game of Thrones: The Last Watch, a two-hour special is coming to HBO, and we have the premiere date and all the details you need. Read on, Game of Thrones Fanatics. Game of Thrones actress Emilia Clarke has revealed she almost died following the first season of the HBO hit. Get all the details right here. The Game of Thrones prequel has added another big name to its ranks. Miranda Richardson is the latest addition, and we have all the details.